Click on a post to read more about it. United Nations selects Poverty Stoplight! 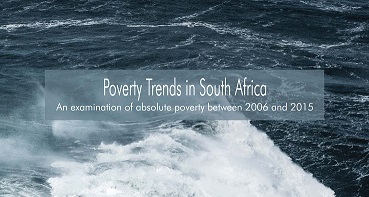 Have you read new Report on Poverty published by Stats SA? Poverty Stoplight info sharing sessions in Durban this coming week! Welcome to New Leaf Development! Welcome to Izulu Orphan Projects! Welcome to Community Action Partnership! Welcome to Development Communication Solutions! Welcome to Westlake United Church Trust! Izulu Orphan Projects (IOP) is an NPO servicing orphans, HIV-positive widows with children, and surrounding communities. Their communities are suffering under the weight of illness (particularly HIV), poverty, unemployment, lack of quality education, and insufficient infrastructure. Over the years, IOP has had a total of 1801 orphans in 783 households registered on their programme. Their main offerings include education, feeding, sewing courses, computer courses, and church services. Why Use the PS approach? Orphan numbers have been declining on the IOP programme over the last few years due to the fact that when orphans have finished school, they are not choosing to study further and their situation remains unsustainable. IOP want to use Poverty Stoplight to try and understand the poverty mentality that holds these orphan households from progressing and becoming self-sustaining. They also recognize that the ‘hand-out’ approach is only enabling these families to remain poor and want to encourage their beneficiaries to own their journeys out of poverty and strive for a life of dignity and independence. New Leaf Development is a non profit whose mission is to empower local entrepreneurs to spark social, economic, and spiritual transformation within their communities. Run by Caleb Belanger and Samuel Ares, this new start-up desires to become a resource that comes alongside entrepreneurs to provide technical knowledge, technical skills, and spiritual growth. New Leaf Dev has two main focuses – enabling entrepreneurial people and building mentorship capabilities and capacity in disadvantaged communities. To this end, they are going to pilot Poverty Stoplight in their new programmes to see just how far the needle of transformation is moving. This will inform their efforts and allow them to tweak their offering for increased impact. They are also hoping that Poverty Stoplight will assist them in recruiting the right kind of people onto their programmes. They believe strongly in partnerships and are currently investigating teaming up with Poverty Stoplight organisations to capitalise on synergies. Community Action Partnership (CAP) is a non profit where the main purpose is to give people in Swellendam communities hope and to build resilient family units. They have a grass roots presence in their beneficiaries’ life spaces (work, play, home) and are positioned to do training in hard and soft skills, place people in jobs, create income generating opportunities, address values, mentor and build social cohesion among developmental role-players. CAP have a number of programmes currently running within the Swellendam communities and are keen to pilot Poverty Stoplight in 100 households of schoolchildren they engage with as well as their own employees. This will inform them as to the real needs on the ground and assist CAP in tweaking their programme design for maximum impact. They are also particularly interested in measuring behavioral movement of people on their programmes and how this manifests in 12 month periods. Development Communication Solutions (DevCom) is a for-profit social enterprise that measures financial and social development gains. They are a specialist communication agency that uses the power of communication to assist individuals, businesses and communities to reach their business and social goals – they design and implement communication strategies and action plans. Their passion is people and social change, and they only take on projects that add value to the business bottom line AND social impact. DevCom has a number of interesting clients where (lack of) communication is the root of many of their business challenges. DevCom is well versed in community research and will be using Poverty Stoplight to assist organisations such as SAPPI and specific mines to understand and know their communities and then to measure the impact of the social mobilisation strategies they put in place. Westlake United Church Trust (WUCT) is an award winning non profit that employs 55 people at its multi-service facility, embedded within a disadvantaged community incongruously to be found in the affluent Cape Town suburb of Westlake. WUCT acts as a hub for the community of approximately 10,000 people. The staff are mostly employed from the community and 95% are historically disadvantaged individuals. The WUCT project addresses issues of extreme poverty, ill health, early childhood development, unemployment and social issues. The Westlake community has 700 households with about 15-20 people per house. All the usual issues of poverty and exclusion can be found in the community and WUCT is determined to find out what’s actually happening on the ground by understanding the poverty and culture profile of the households they serve and whether the programmes they have in place are truly meeting the needs of the community. They also want to gain knowledge about the strengths and talents/skillsets of families. 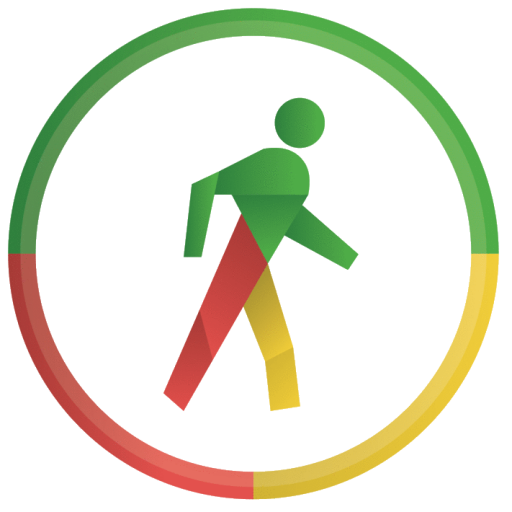 Poverty Stoplight is the starting point for a need’s analysis that will provide (1) evidence of social impact brought about through current programmes and (2) direction on what and how to implement new initiatives. Food Lover’s Market (FLM) is part of the Fruit & Veg City company, a family retail business with a vision to create a store that resembles a marketplace of old, where farmers bring their fresh produce from their farms to be sold to the public, dedicated to freshness at affordable prices. Food Lover’s Market is a modern eatery where food enthusiasts can indulge in a range of gourmet foods – a stylish and modern food emporium. FLM has a progressive Sustainability Strategy, with their people (employees) as the central theme. They have been working through ways to identify how best they can understand their staff, including the underlying social issues facing many of their staff in their day to day lives outside of work. FLM is ready to analyse and explore key and common issues, proactively build programmes to support their staff in improving the quality of their lives, and continue to build a culture based on the family values that they, as a business, stand for. CAST is a registered non-profit organisation (2009) and Trust (2011) that mobilises and equips local churches for compassionate action among the poor in their communities. They have developed partnerships with a number of schools, clinics and community-based organisations in the poorer communities where they are based. They are currently serving more than 2500 poor and destitute people each month in 7 communities in the greater Durban area, where they provide food parcels as well as a range of services such as counseling, youth development, sport, mentoring, business forums and educational assistance. CAST are not seeing increased movement of people out of poverty, even though they have quality programmes in place. They plan to integrate the efforts of their different departments to enable stronger impact, using a re-focused approach that sees communities taking responsibility for their journeys out of poverty and moving the needle of transformation.They plan to run a pilot in the Kwa-Zulu province for about 200 people in the second half of 2016. ContainerWorld (Pty) Ltd started in 1983 and is one of Africa’s pioneers in container development. ContainerWorld takes the strength and water resistant construction of marine containers and customizes them to their client’s individual needs. Their primary activities include the sales, rentals, conversions and transport and cabotage of new and pre-owned marine shipping containers. They have branches in almost every major city in South Africa. ContainerWorld often partners with organisations to provide solutions to social challenges in the country. For example, they partnered with Meals on Wheels Community Services South Africa by sponsoring a 12m shipping container that was converted into a kitchen to serve a community in Limpopo. ContainerWorld plans to support organisations using the Poverty Stoplight approach in order to increase social impact. Drakenstein Transformation was founded in 2012 and is an Article 21 Non Profit Company, established to facilitate Community Transformation on the principles of Transformourworld, in the South African society. DT is Christian-based but not religious and consists of a collaboration of local NPO organisations working together to eradicate poverty in a holistic manner. DT believes that family transformation is the most crucial component of Holistic Community Transformation and they are committed to train fieldworkers and coaches by implementing a Mentorship/Discipleship Programme and process with the volunteers and fieldworkers in their communities. Based in the Drakenstein area of the Western Cape, DT sees countless families experiencing social issues related to all the dimensions of poverty, e.g. racism, addiction, lack of income, violence, sexual abuse, HIV and Aids. DT is keen to explore what’s happening on the ground by understanding the poverty profile of the households, in order to discover the real needs of the people they serve. They want to be able to guide families around the choices they make, especially those affecting economic livelihood. They believe that Poverty Stoplight can assist them to integrate their collective approach and assist in creating unified thinking, methodology, a common outcome, and a shared language. Zimele means “people stand on their own feet” in Zulu. This is a faith-based, non-profit organisation based in Pietermaritzburg, South Africa, that has spearheaded social development and women’s empowerment projects in remote, impoverished areas of KwaZulu-Natal since its inception in early 2007. Zimele aims to empower people, not tie them to a lifetime of dependency. They currently implement their programmes in 4 districts of KwaZulu-Natal with approximately 3500 women actively involved. The beneficiaries of Zimele’s programmes are rural communities. There is a lack of motivation and urgency around self-improvement and the need to get out of poverty. People are very slow to respond and when they start with new business activities, they often lose interest as they don’t feel they are moving forward – it’s difficult to show them just how far they have come. Zimele desires to ‘wake’ groups up, create a sense of confidence (look how far I’ve come) and be able monitor and evaluate the results of the programmes in a more visual and effective manner. Zimele will implement Poverty Stoplight in the Winterton and Swayimana areas, using the existing Cluster Groups to engage with the Self Help Groups. 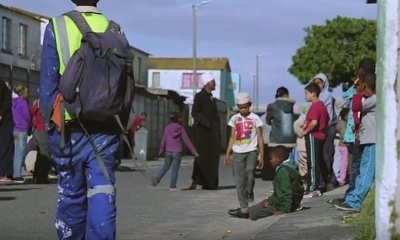 Ikamva Labantu (“the future of our nation”) is a community-driven, non-profit organisation that delivers social support services to underdeveloped communities in Cape Town. These services include learning and development and primary healthcare programmes, as well as provision of resources and hands-on support required to meet the needs of their beneficiaries. Ikamva Labantu’s grassroots work focuses on the most critical issues in their communities, namely the lack of quality early childhood development programmes, the growing number of orphans, abused and neglected children, and the large number of unsupported and isolated elderly who financially support their families. Ikamva Labantu are going to use the Poverty Stoplight approach with their (a) seniors’ programme and (b) their ECD principals’ programme, to create a baseline of community poverty with special interest in the activities and status of the aged and ECD Principals. They want to know if their programmes are making a difference and if there other challenges that they don’t know about that are hindering their efforts and thus their impact? They’ll be implementing Poverty Stoplight in the second half of 2016. Learn to Earn is a skills development and job creation organisation seeking to develop people, especially unemployed people, socially, economically, emotionally and spiritually. Their skills development and training centres are based in Khayelitsha and Hermanus. Since 1989 they have trained more than 10 500 unemployed people with market-related skills. The people who come onto LtE’s programmes struggle with issues that range across the full spectrum of poverty and LtE would like to validate the impact of their programmes in a visual manner, using both qualitative data and quantitative data to drive continuous improvement. They want to better understand the profiles of the families of the clients they work with and to see if these families can be included in the process, to see if they are actually changing their lives, based on what LtE are teaching/communicating. LtE will be piloting the surveys in 30 to 50 households in the second half of 2016. FoodBank SA is a non-profit organisation that collects edible surplus food from manufacturers, wholesalers and retailers, and redistributes this food to hundreds of verified NPO’s that collectively feed thousands of hungry people daily. The FoodBank supports 550 beneficiary organisations of which more than 85% of are involved in development/remedial work. There is a need for a structured developmental approach to food programmes. Mass feeding supports survival, not development, and therefore is not transformational. Foodbank wants to use new thinking to solve current problems and they want to understand outcomes and impact, not just outputs. For example: The NPOs that they provide food to, are they really trying to increase their impact and decrease the numbers attending their programme? What is happening in the households receiving the food parcels? How many households are using the food to improve their lives; enough to keep them alive vs. giving energy to do more? Foodbank will be piloting Poverty Stoplight in two of their new ED projects around food security, microenterprise, and youth development.